Chris Lintott and Maggie Aderin-Pocock explore four major ways in which future space exploration has been changed by the discoveries of the Cassini mission. 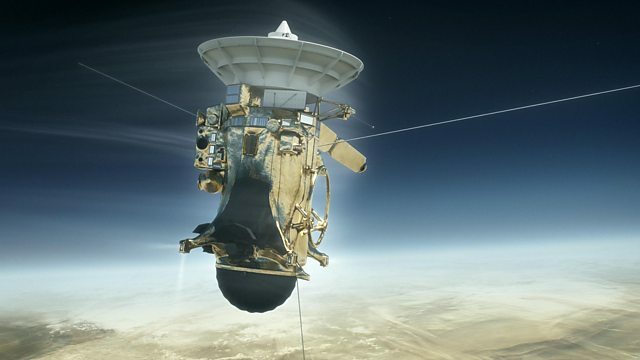 On 15 September 2017, the most successful space mission of all time will come to a dramatic and violent end as the Cassini probe is sent crashing into the planet Saturn. This one space probe has rewritten the rules of space exploration, repeatedly surprising scientists with its incredible and unexpected observations. It discovered lakes of pure methane on Saturn's moon Titan, mysterious weather systems on Saturn itself, and all the conditions for life on the moon Enceladus. It has exceeded every expectation of its original design brief, and its mission duration has been extended not once but four times. Its legacy for science and for space travel is unique. Chris Lintott and Maggie Aderin-Pocock explore four major ways in which space exploration of the future has been changed by the discoveries of the Cassini mission. Performer: Royal Philharmonic Orchestra. Conductor: Thomas Beecham.